The lineup and staging maps for the 2018 Owensboro-Daviess County Christmas Parade are now available by going to the Lineup menu. Please visit the Sponsors page to see a list of this year’s parade sponsors, without their support this parade may not be possible. The lineup and staging maps for the 2018 Owensboro-Daviess County Christmas Parade are currently being worked on. Lineup information, which includes your number in the parade, and maps, which show where you lineup before the parade, will remain locked on the website until they are ready. We plan on having them available no later than November 15th. An email will be sent out to all confirmed units when they are ready. The Owensboro-Daviess County Christmas Parade Association proudly announces that Miss Reese Boswell will serve as the Official Parade Starter of the 82nd annual Owensboro-Daviess County Christmas Parade on Saturday, November 17, 2018 beginning at 4:30pm in downtown Owensboro. Each year the volunteer parade committee selects a local person that embodies the heart, spirit, and openness of the Christmas season and gives them the honor of beginning the annual celebration by blowing the whistle that begins a celebration of true joy. 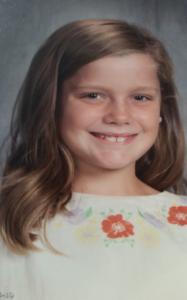 Reese Boswell is 11 years old and attends Meadow Lands Elementary School where she is in 5th grade. Reese loves to play softball, spend time with family and friends, and is passionate about helping others. Reese is very excited to be a part of this year’s Christmas parade and hopes that everyone has safe and happy holidays! “It is always a joy to bestow this honor on a young person who is so very excited about being a part of our annual celebration and one that is dedicated to making those around her better in every way possible. Reese embodies Christmas spirit and the joy of the season,” stated parade committee volunteer Kenny Williams. Early bird pricing ends at midnight on October 31, 2018 after which regular pricing goes into effect until the entry deadline of November 5, 2018. No parade or vendor applications will be accepted after November 5, 2018. The Owensboro-Daviess County Christmas Parade Association proudly announces that the reigning Miss Kentucky will serve as Grand Marshal of the 82nd annual Owensboro-Daviess County Christmas Parade on Saturday, November 17, 2018 beginning at 4:30pm in downtown Owensboro. “When considering the many different possibilities for our 2018 Grand Marshal, the parade’s volunteer board of directors could think of no one better suited than Owensboro’s own Katie Bouchard,” Public Relations and Media Coordinator Jane Head stated. Katie Bouchard, daughter of Michael and Amy Bouchard of Owensboro, was crowned Miss Kentucky 2018 this summer and attends Western Kentucky University where she is completing a degree in Social Work. Her personal platform is “Being the Voice for Kentucky’s Children” through which she advocates for the Family Resource and Youth Service Centers across Kentucky. As part of her responsibilities as Miss Kentucky, Bouchard visits Kentucky schools as an ambassador for the Kentucky Department of Agriculture and Kentucky Proud, the state’s official agricultural marketing program. Bouchard educates students of all age groups about farm safety, agriculture basics, and maintaining an active and healthy lifestyle. Find out more about the Owensboro Christmas Parade at christmasparade.net, on Facebook, and/or on Twitter. Find out more about Owensboro and Daviess County at visitowensboro.com or call (270) 926-1100. Participants and vendors can now enter to be a part of this year’s parade – just follow links on right for parade or vendor applications. Be sure to read and understand all the FAQs, rules and regulations listed on our website. For the latest updates and news, join us on Facebook, follow us on Twitter and Instagram! The date of the 2018 Owensboro-Daviess County Christmas Parade will be Saturday, November 17, 2018 at 4:30pm. The theme for this year’s parade is “Our Christmas Wish“. We will begin accepting parade entry applications around the middle of August.